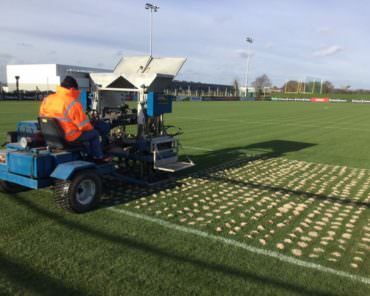 Installation of three sand dressed pitches. 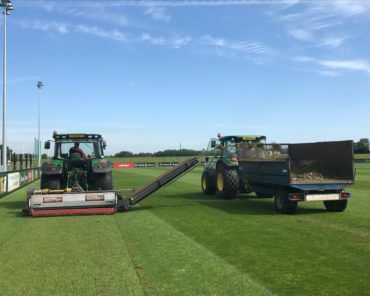 Installation of a fully automated sprinkler system to the five natural pitches including boreholes, provision of underground concrete tanks, pipework and sprinklers. 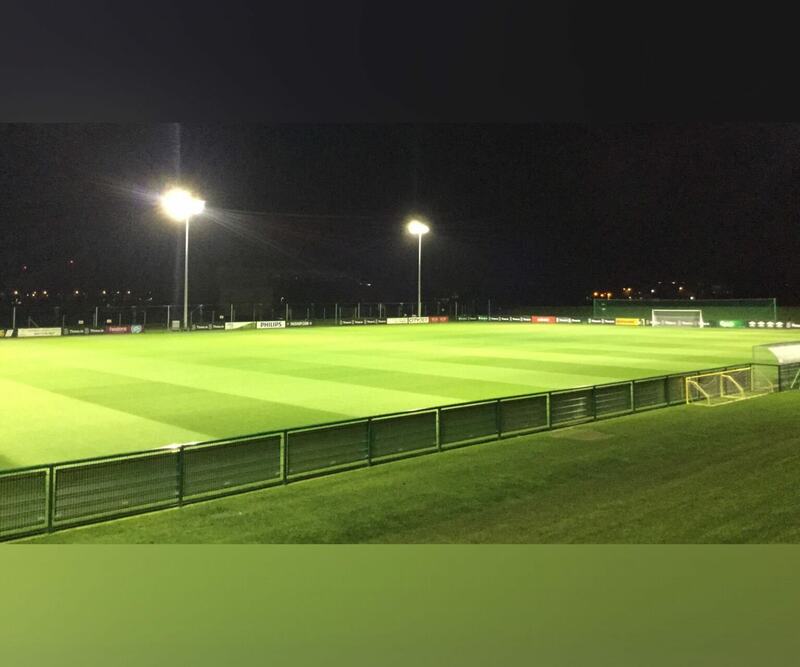 Installation of floodlighting including all associated ductwork to three pitches. 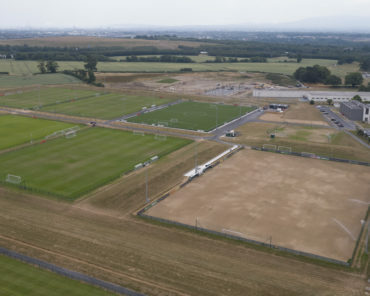 Construction of perimeter fences and ball stops to all pitches. 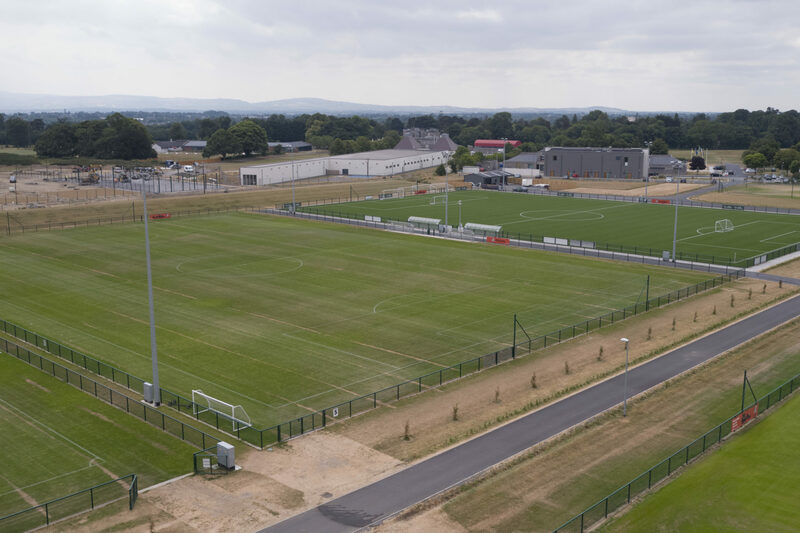 Provision of access roads in line with our traffic management plan, street lighting, and storage sheds, car-parking, perimeter mounding and reinforced pedestrian pathways. 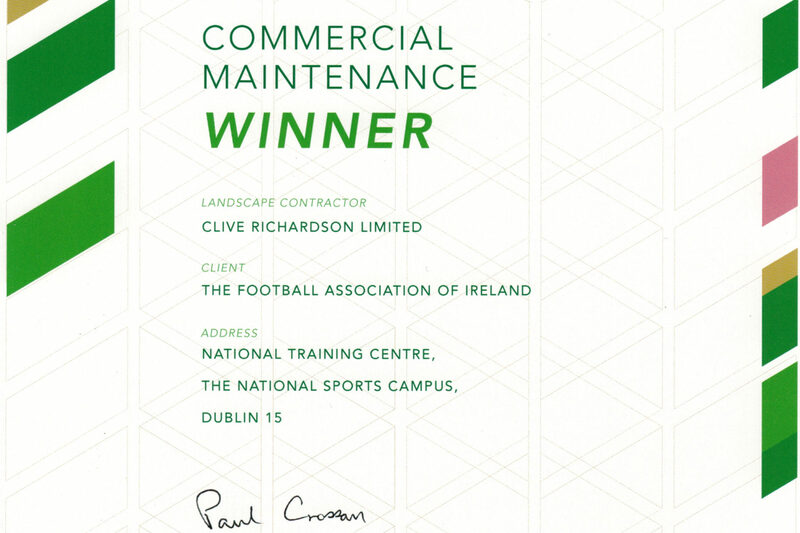 After the completion of the construction phase, a 3 year maintenance contract was awarded to Clive Richardson Limited. 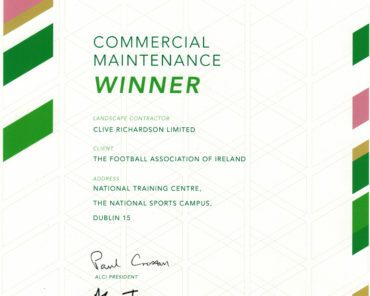 Clive Richardson Limited immediately undertook the entire maintenance of the facility with full time staff members working full time at the National Training Centre facility. 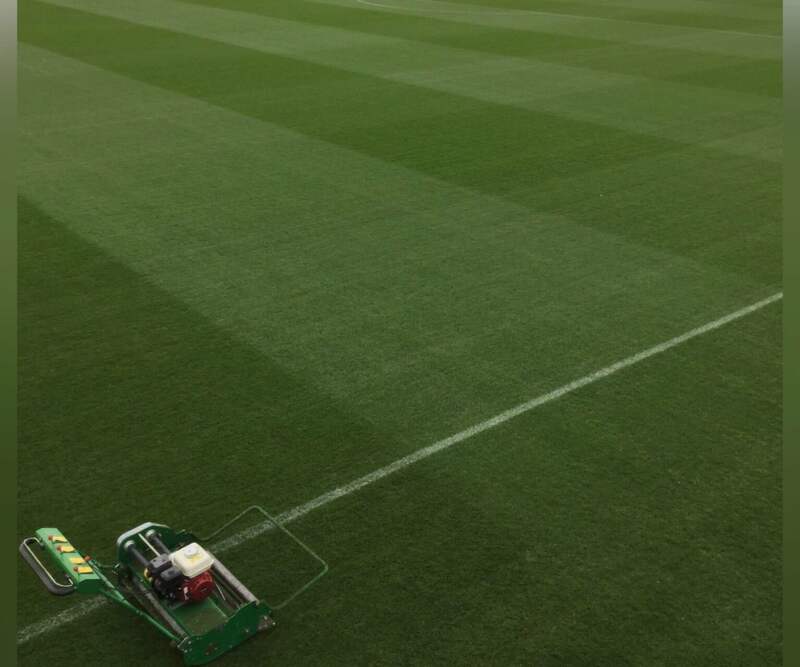 Supply of pitch staff to agreed levels for all events including domestic/international football and any other events requiring use of the pitch. 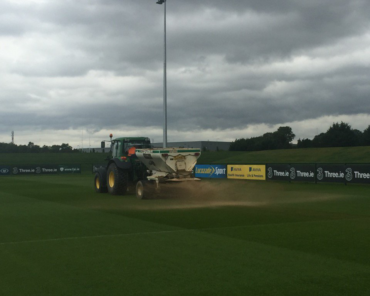 Supply of all equipment and chemicals/treatments for the pitches. 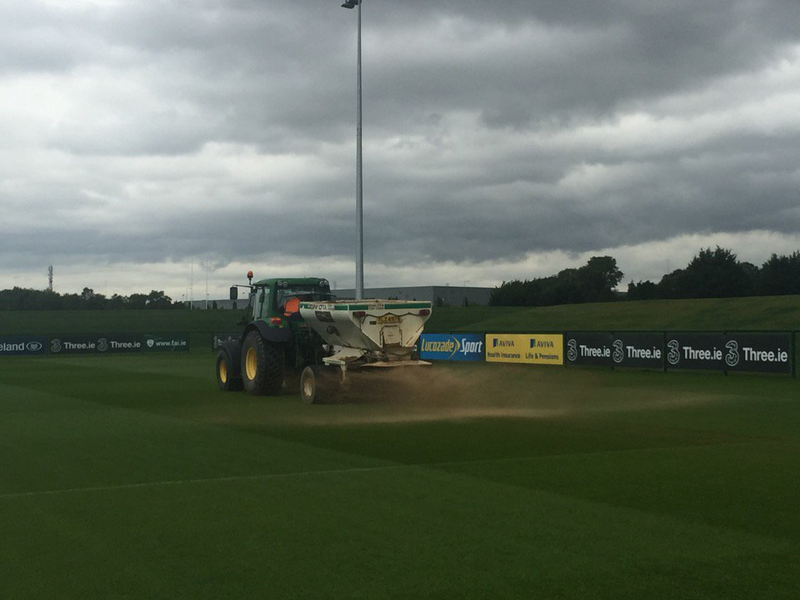 Regular consultancy reports for the pitches to ensure the long term protection of the playing surface. 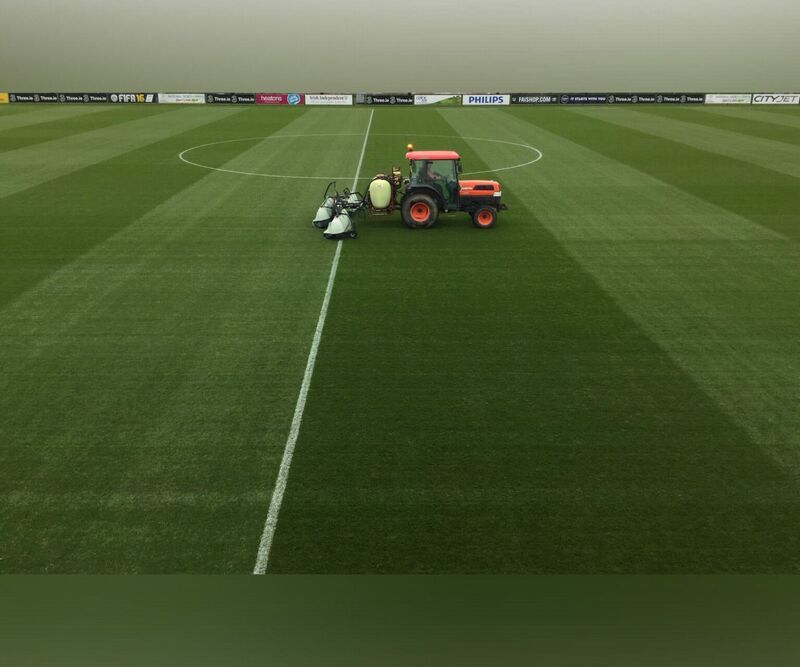 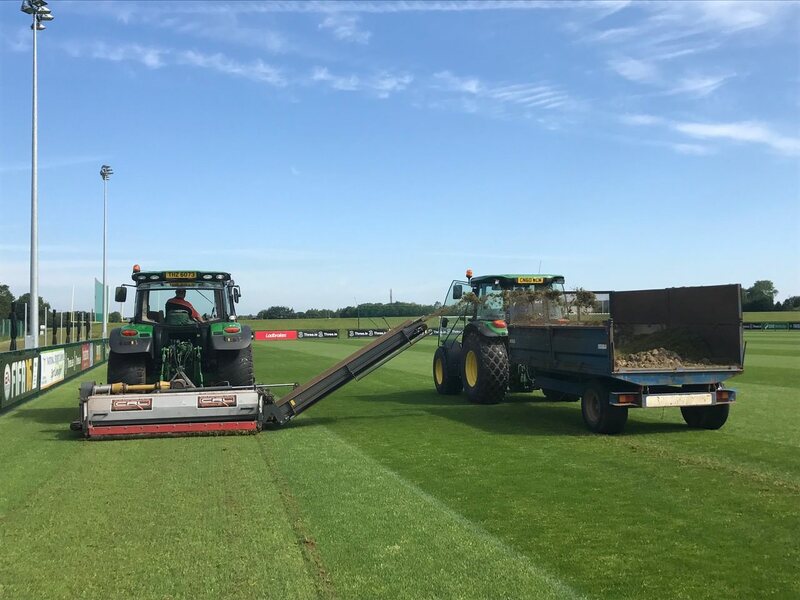 Clive Richardson Limited has carried out maintenance works to all of the pitches since June 2016, ensuring that the surfaces are maintained in a top condition all year round. 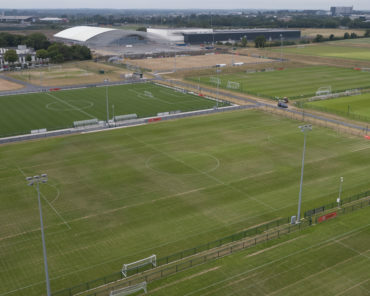 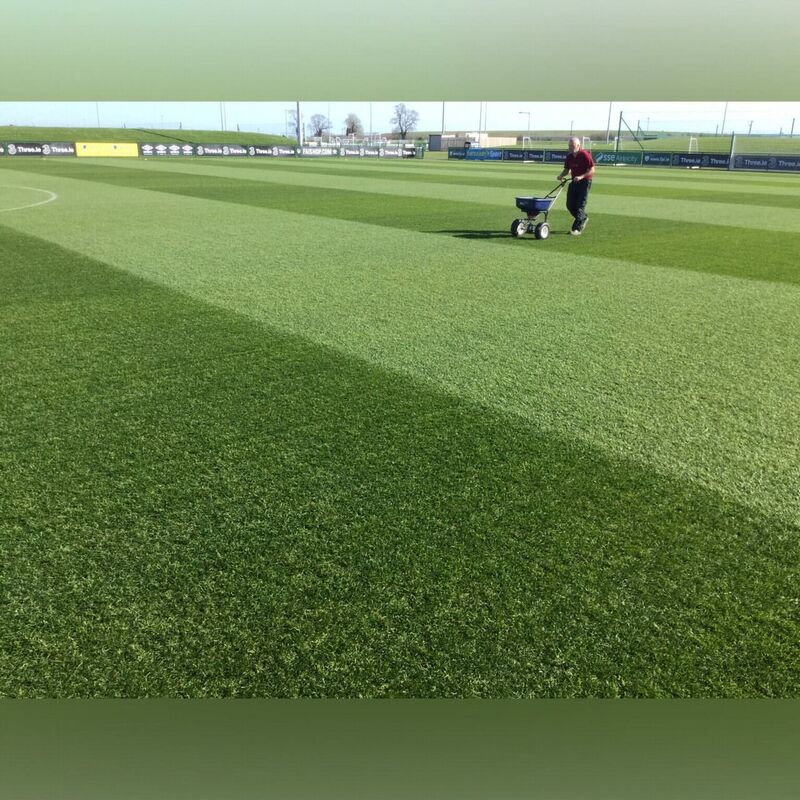 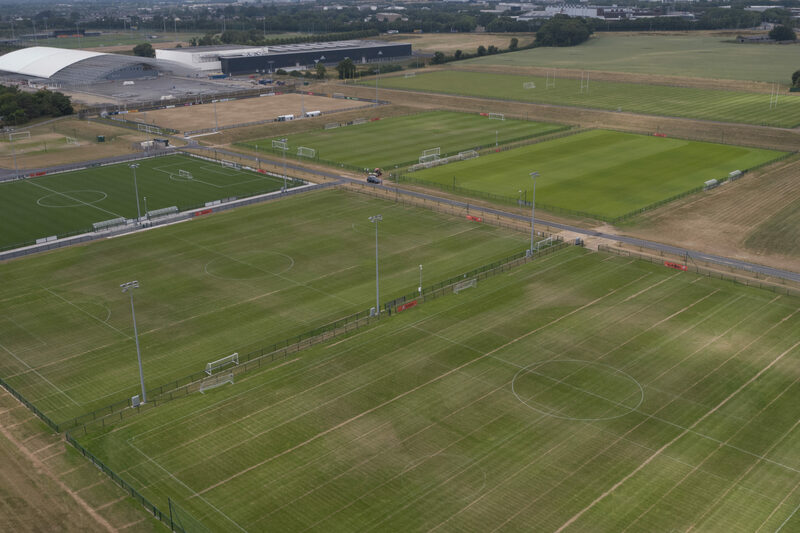 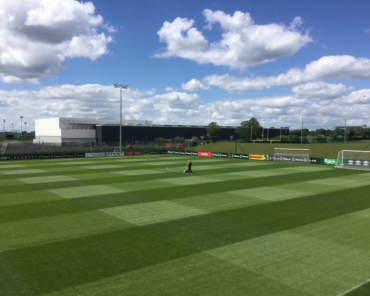 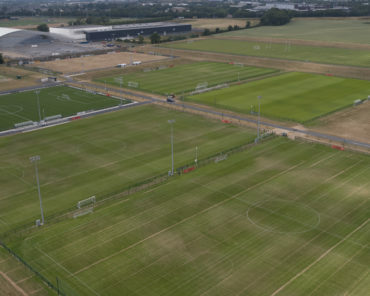 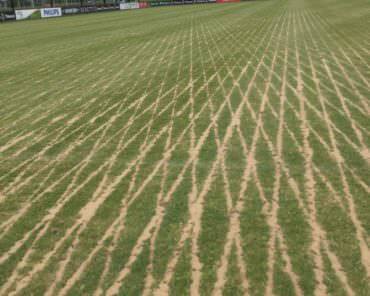 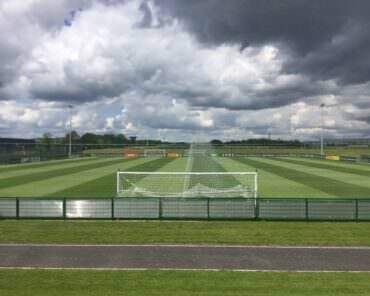 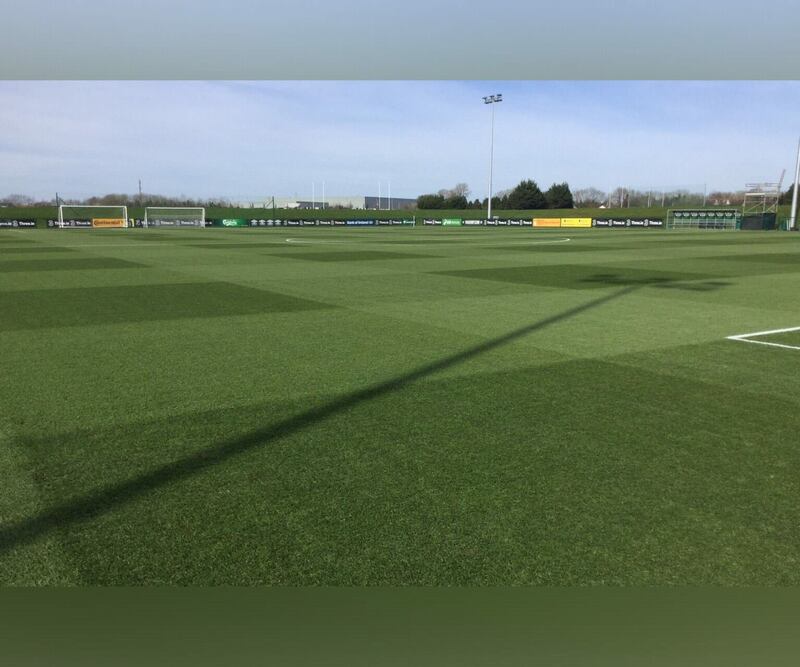 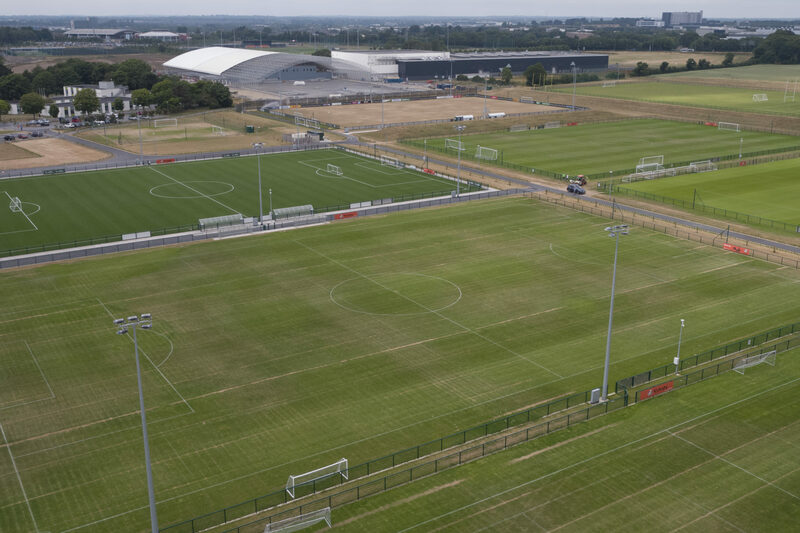 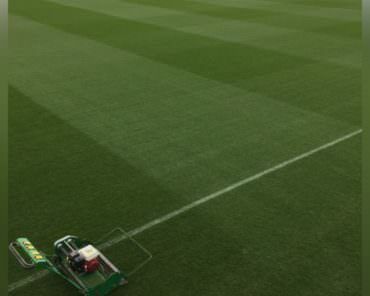 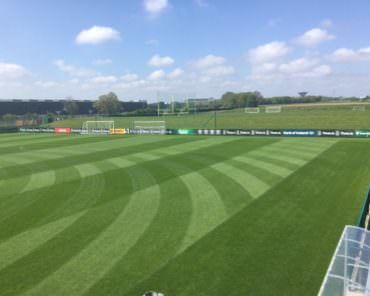 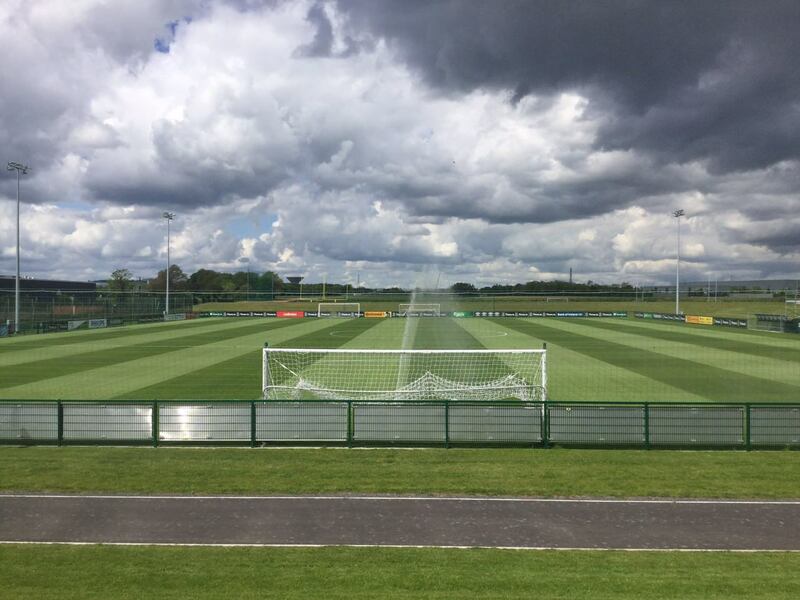 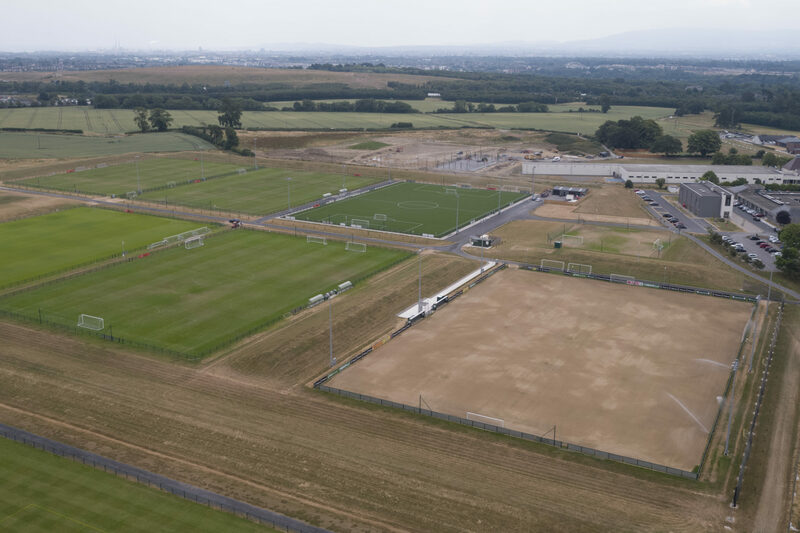 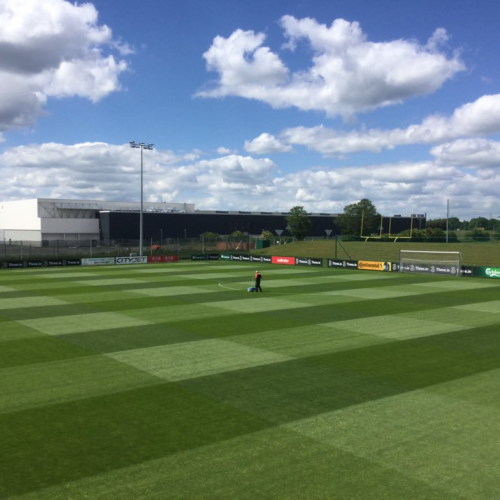 The pitches have individualised maintenance programmes carried out on a rotational basis based around their usage by all of the FAI’s national teams from seniors to underage. 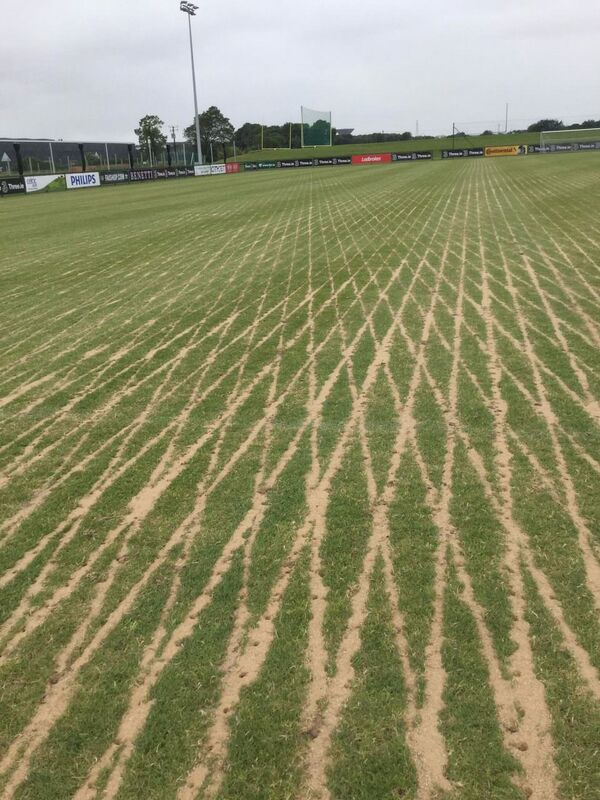 The pitches are currently in use for 46 weeks per year. 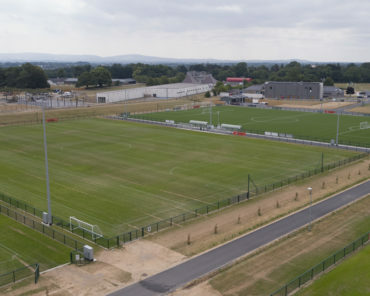 CRL’s work was recognised with a Merit Award in the Commercial Maintenance Section at the 2017 ALCI Landscape Awards and the continued standard of the work was further recognised when winning the same category in the 2018/19 awards. 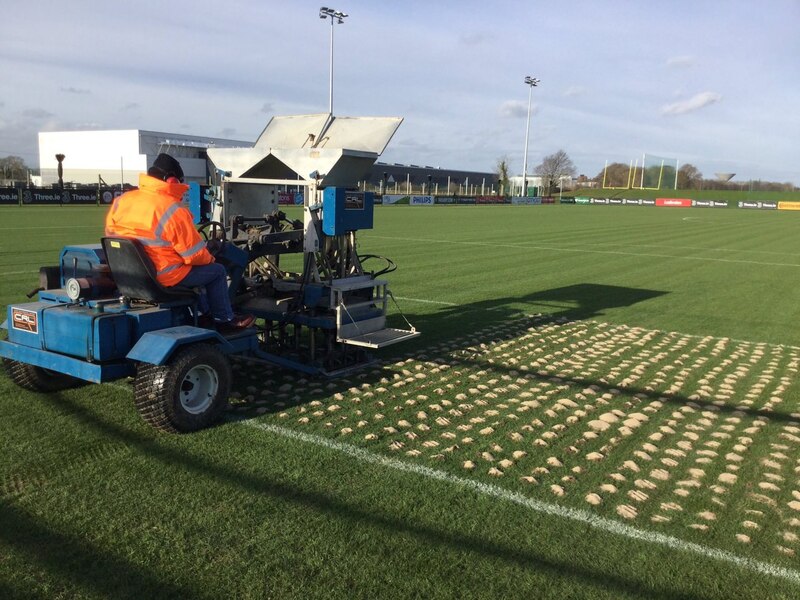 2017/18 has proved to be a particularly challenging season given the harsh winter which we experienced accross the Dublin area with record snowfall, followed by the sustained period of dry and hot weather. 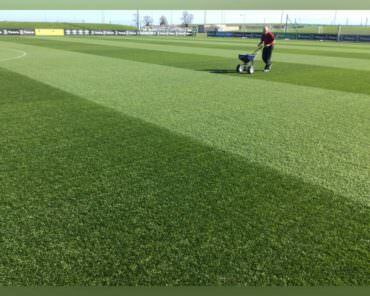 Our staff worked tirelessly to ensure that the facility was maintained in top class condition throughout the year.